1.) Are you longing for the days when you could walk without a limp? 2.) Do you wish you could do something about this problem? Per the Mayo Clinic, foot drop is not a disease, but rather a general term for "difficulty lifting the front part of the foot". Moreover, they indicate that "foot drop is a sign of an underlying neurological, muscular or anatomical problem." You may have already have wondered to yourself... "will this every go away"? Will I have do deal with this situation my whole life? - These are honest questions and we can understand your concern if you have trouble with foot drop or any other walking problem. So the time for feeling sorry is done. The next question is, "how do I face foot drop and deal with this condition?" Now we are getting somewhere. There are some different treatment options out there that can really help people with foot drop. Some can help you walk better again naturally, but there are no guarantees with this method. Other, very effective treatment options include the use of a brace called an AFO, or even the WalkAide system. Rest is the old fashion way of healing our bodies. As you already know, rest can take you only so far. In the end, the potential to heal has to be there. Sometimes the potential is there, and other times it is not. For example, if you injured your lower back and expect it to heal, then the sciatica you are feeling right now and resulting foot drop may dissipate with time. The AFO that is mentioned above is a very helpful treatment option that can definitely help people walk better again. Hands down. It is typically made of low profile plastic and fits into a shoe. This brace is provided by a brace specialist, called an orthotist. These individuals can either give you a custom made AFO or an off the shelf version. Not only that, they can help you facilitate a claim to your health insurance, on your behalf. This means that you might not have to pay a cent out of your own pocket (depending on your coverage levels). Another system called the WalkAide is getting a lot of attention in the medical community. It is an FDA approved device that helps people with drop foot, by stimulating your peroneal nerve with impulses. 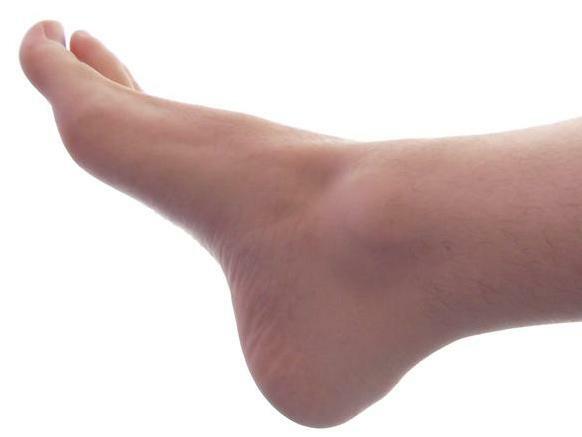 It can bring up your foot in this way, as you walk. Not everyone is a candidate for this device but many people are. Note: This is health information. Although it is good information, it is always a good idea for an individual to talk with their local, licensed orthotist when it comes to getting medical advice on bracing and the WalkAide.